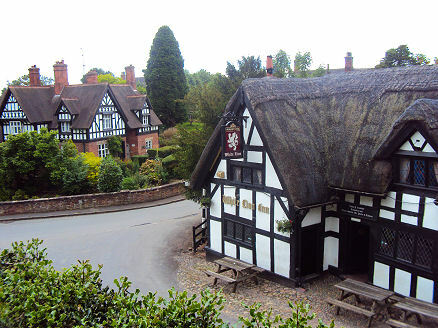 The small, picturesque village of Barthomley lies near the south-eastern boundary of Cheshire, close to the border with Staffordshire and is around a two minute drive from Junction 16 of the M6 motorway. The name Barthomley is said to derive from Bertamlegh meaning ‘a woodland clearing of the dwellers at a place called Brightmead or Brightwell’. The Wulvarn Brook, which runs through the village, is so named as legend states that the last wolf in England was killed in Barthomley Wood. 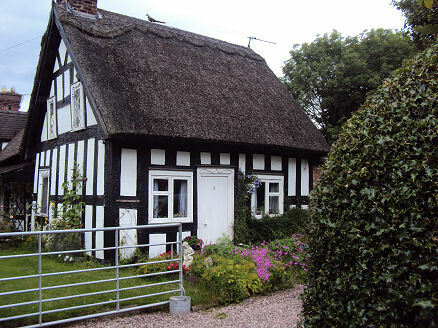 The village has several timbered cottage buildings situated near to the road junction. The White Lion Inn, a thatched building dating from 1614 and formerly the home of the parish clerk, offers a home-cooked traditional menu. The name derives from the coat of arms of the Crewe family, aristocratic local landowners, which included a white lion. 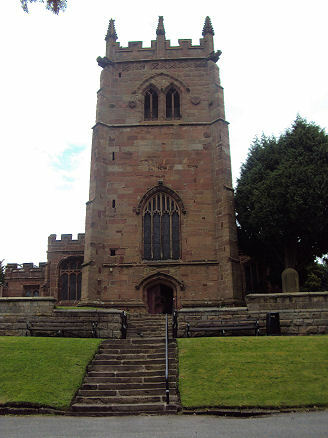 Barthomley is overshadowed and dominated by its red sandstone church, with its rare dedication to an eighth century saint, Bertoline, who is said to have performed a miracle on the site. The building stands in an elevated position on top of Barrow Hill, an ancient burial ground and was the scene of a bloody massacre during the Civil War. A church may have occupied the site in Saxon times, but the present building dates to the late eleventh century. 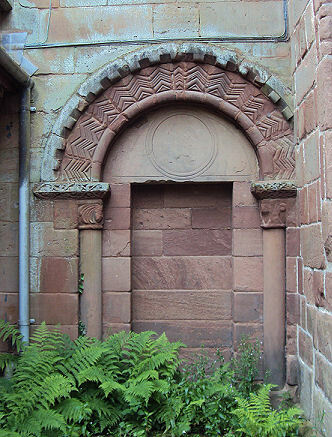 A Norman doorway, with its distinctively patterned round arch, survives from the rebuilding of c 1090; now blocked, it is set into the north wall. 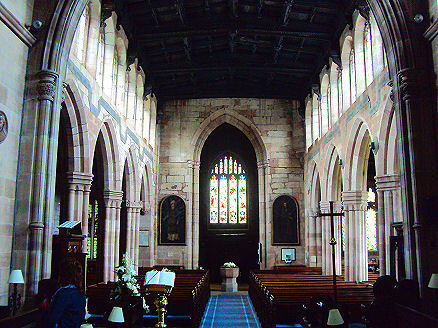 Much of the present church dates from the fifteenth and early sixteenth centuries and comprises of a large western tower, nave, southern and northern aisles and a chancel. 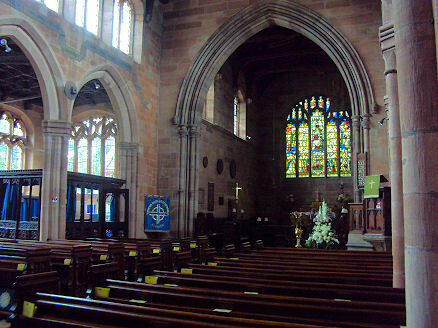 The nave and tower date from the late 15th century and the Crewe chapel from around 1528. A restoration of the church was carried out between 1852 and 1854. 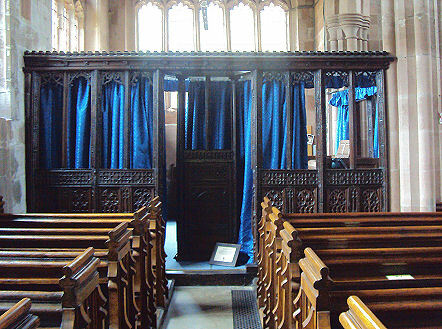 The chancel, designed by Austin and Paley, was built in 1925–26 by the Marquess of Crewe as a family memorial. The altar dates from the late 16th century and includes a variety of images, including the Nativity, the flight into Egypt, and two men each carrying a hare and a bird. In the Crewe Chapel lies the recumbent alabaster effigy of Sir Robert de Foulshurst, one of the squires of James Lord Audley, who distinguished himself at the battle of Poitiers. Dressed as a knight in armour with a gorget of mail, a conical helmet and a collar of esses. It is dated around 1390. The side of the tomb chest has Gothic arches underneath which are six male and six female figures. Also in the chapel is the recumbent figure of a clergyman, probably Robert Foulshurst, rector of Barthomley who died in 1529. 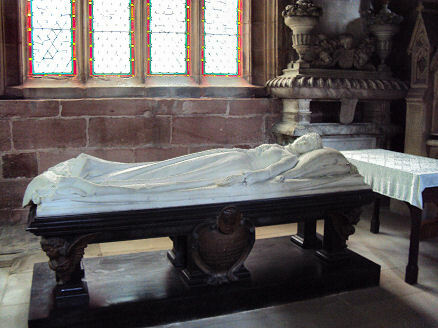 Later memorials are the marble figure of Lady Houghton who died in 1890 by J. Edgar Boehm, a Victorian Gothic monument to the first Lord Crewe, and two large wall monuments to other members of the Crewe family. By 26 December Lord Byron, royalist commander in Chester, wrote to the Marquis of Newcastle: ‘the Rebels had possessed themselves of a Church at Bartumley, but wee presently beat them forth of it, and put them all to the sword; which I finde to be the best way to proceed with these kind of people, for mercy to them is cruelty.’ He earned himself the nickname of the "Bloody Braggadoccio" when the letter was intercepted. Accounts vary but one such account was used as evidence against King Charles I in 1649 when on trial for his life in the first war crimes trial. Bridgemere Garden World, covering fifty acres and Britain's largest garden centre, is located south of Nantwich and lies on the borders of Cheshire, Staffordshire and Shropshire. A gardener's paradise, the centre makes a great day out for the enthusiast. The Anderton Boat Lift, the world's first and England's only boat lift. Dating from 1875, the Anderton Boat Lift is one of the greatest monuments to Britain's canal age and known as the "Cathedral of the Canals". It provides a fifty foot vertical link between two navigable waterways: the River Weaver and the Trent and Mersey Canal.